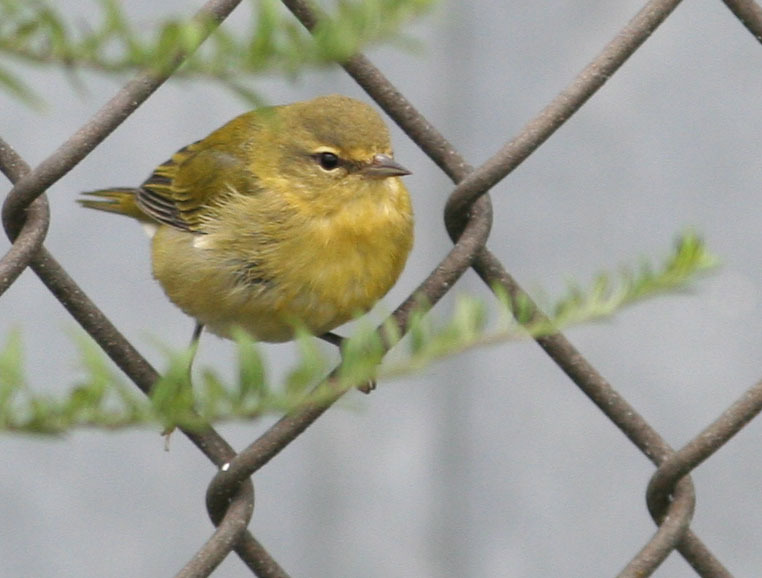 Here’s the best of today’s rarities from the little park along the West Side Highway. Lots of intrigued looks from the locals as I hung out there for about 20 minutes waiting while this little bugger popped out. Eight species of warbler on the day: Palm, Tennessee, Northern Parula, Black & White, Common Yellowthroat, Magnolia, Yellow and Northern Waterthrush. Other goodies included Yellow-bellied Flycatcher (maybe more about that in another post) and Bald Eagle. It’s amazing how productive this teeny tiny park along the Hudson is. Plus it fits into my joy of finding birds in the most unlikely of urban and suburban settings. The Yellow-bellied was just behind the carousel you can see in this NY Times article (here) and photo of the park (here).